The “Heroes for History” competitive course measures out to five kilometers, but this is unlike any 5K you’ve ever run. 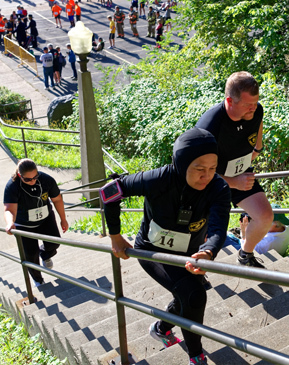 Competitors will be doing 7 laps – that’s up the Green Street steps starting at Bench Street, turning right and running along Prospect Street to Spring Street, back down to Bench, and south back to the Green Street steps. Repeat six more times! Special thanks to our Premier Gold Sponsor, the DeSoto House Hotel. To register for this year’s Heroes for History, click here.